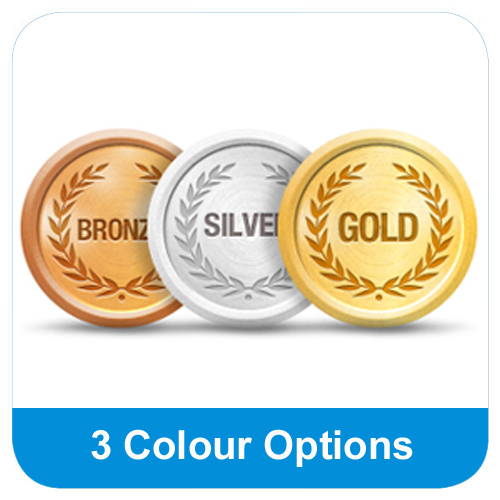 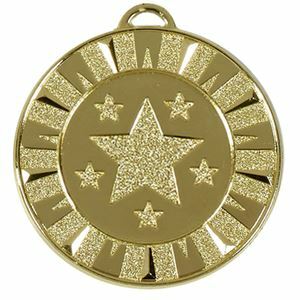 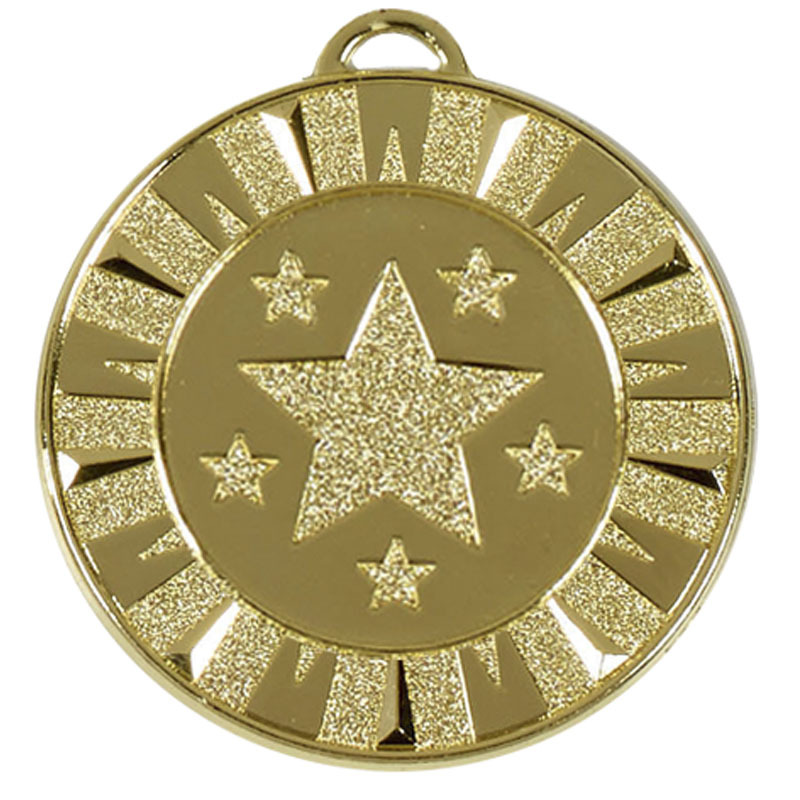 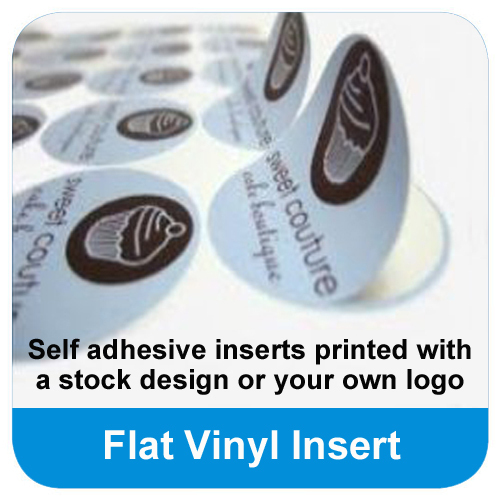 Supplied in a choice of 3 glossy lacquers, this stylish medal comes in two sizes and in a choice of gold, silver or bronze. 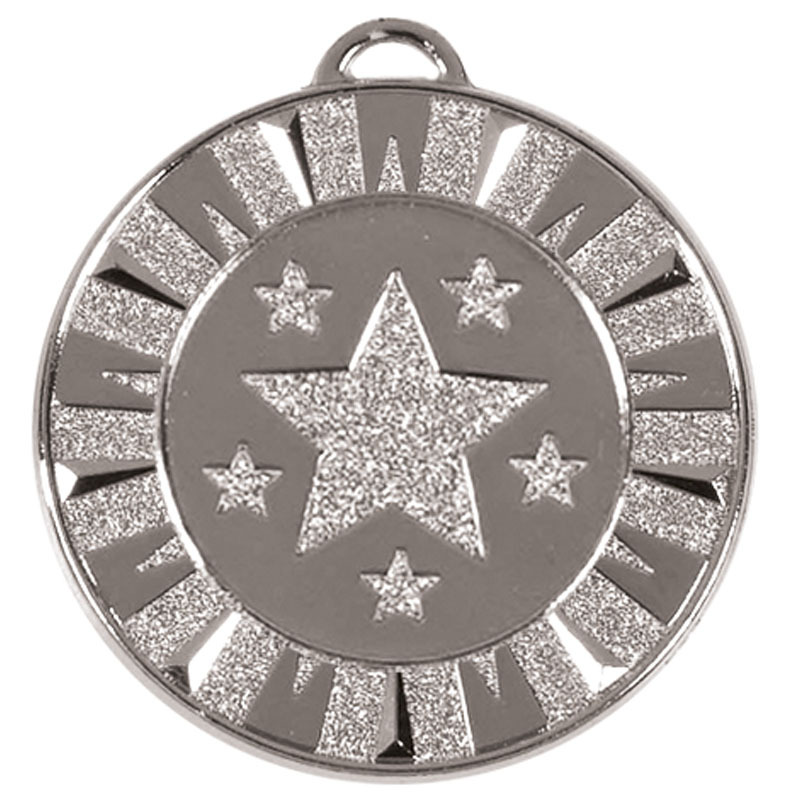 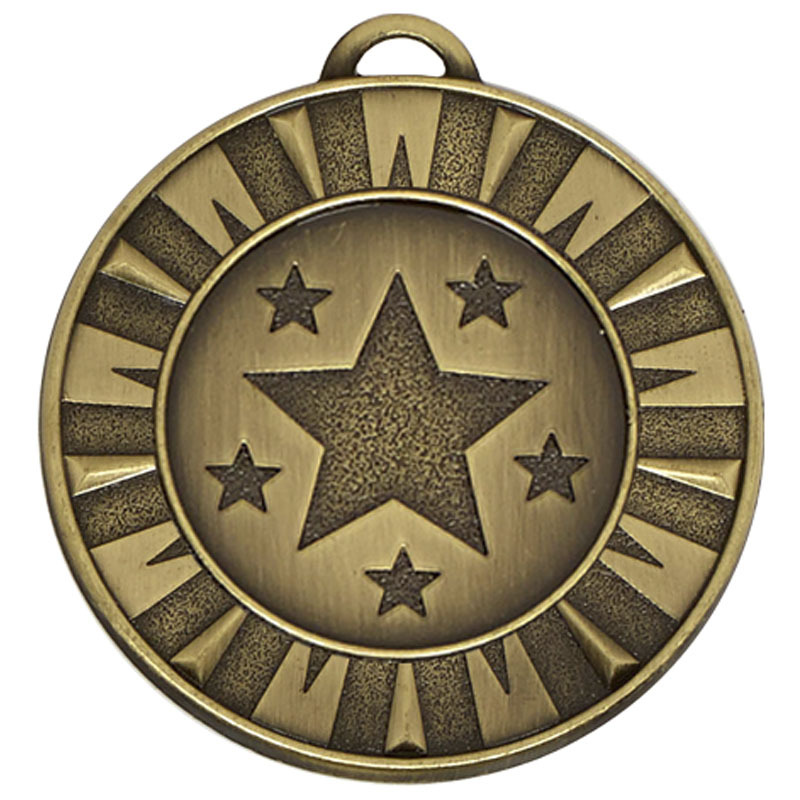 The Target Flash Medal is decorated with an embossed pattern of stripes and stars, finished in a gloss and matte textured effect. 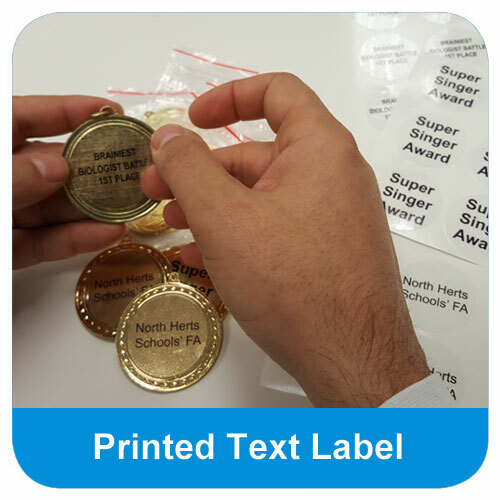 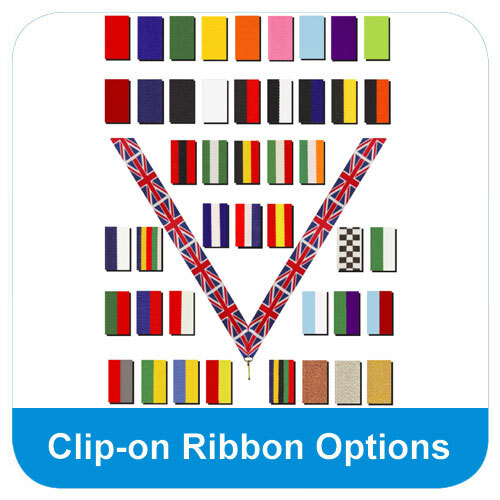 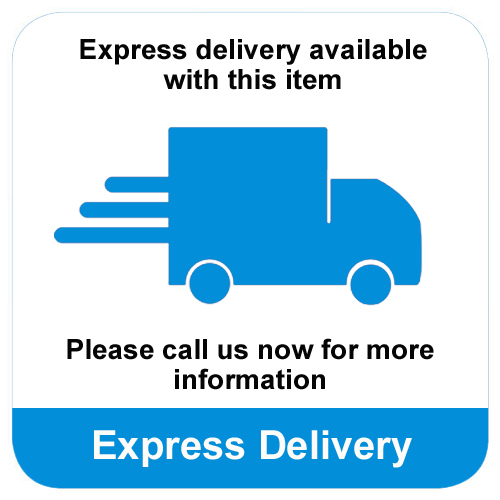 The medal can be personalised with optional text and logo inserts for a small additional fee. 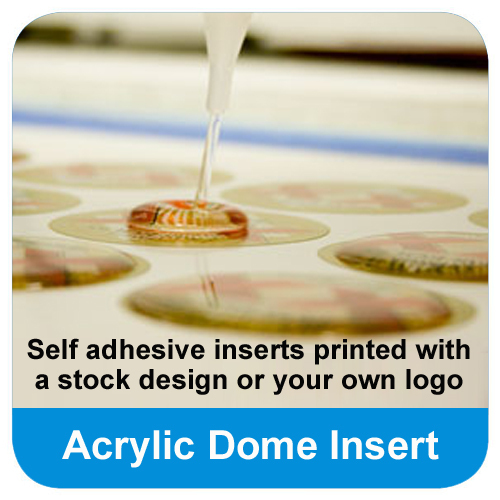 Alternatively, choose from our wide selection of FREE stock images.